In New South Wales not only can you appeal against the refusal of a development consent, you can also appeal against the conditions of consent that are granted. Accordingly, under s 97 of the Environmental Planning and Assessment Act 1979 an applicant may appeal when they are ‘dissatisfied’ with a condition imposed on a development consent. Details of the approved cameras, their precise location and field of vision shall be submitted and be approved by Council prior to their installation. The type of camera to be used and their positioning shall be such as to minimise the view of the public domain and adjacent properties. The cameras shall be of a fixed lens type (ie no zoom or ability to pan from side to side/up/down). The applicant in this case sought to amend the condition to allow the installation of a dome style camera on the 3rd floor of the terrace facing the rear lane. These dome style cameras would allow for panning from side to side and up and down, as well as zoom functions. 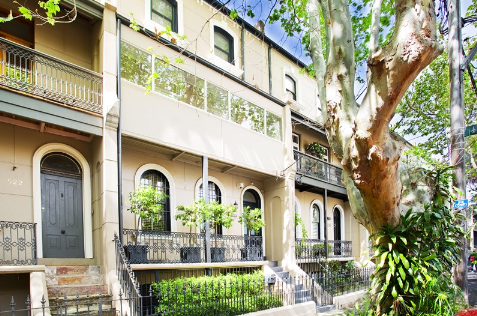 Council argued that the installation of security cameras had a negative impact on the heritage significance of the heritage item and the impact on the privacy and amenity of the applicant’s neighbours. The applicant argued the cameras were necessary to document anti-social behaviour and intruders for their defence. Ultimately, the Court considered the camera would have no impact on the heritage significance of the heritage item. This is because the camera was a similar size to an external light fitting or the external siren of an alarm system, both contemporary fittings, common on external facades of dwellings including heritage items. is a menacing panoptic mechanism, positioned to give the neighbours the impression of being constantly observed in their own, private rear courtyard. The fact that ‘privacy masks’ could be enabled on the dome cameras to veil unwanted zones was held to be irrelevant because you cannot ‘see whether a privacy mask is enabled by looking at the camera’. The Court also held that the imposition of privacy mask on a domed camera system by condition would be impossible to enforce as the privacy mask can be removed at any time. The Council imposed the relevant condition requiring that the 4 approved cameras are a fixed type lens to ensure that they are physically restricted to the surveillance of the site and public domain immediately adjacent to the site. beginning to deal with more sophisticated new technology, and its impact on privacy and the amenity of adjoining neighbours. At times the amenity and privacy of adjoining neighbours will outweigh a landowners desire for these types of surveillance cameras.